Today we will make Peanut ladoo which is a very simple and easy sweet. Obviously kids also love it and very good for health. 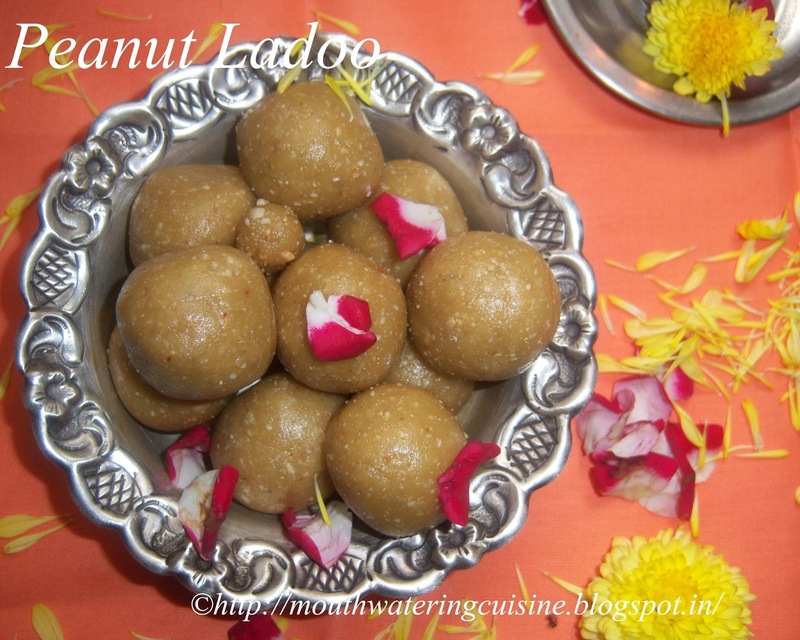 I have already posted one post on peanut laddu, but it is made with jaggery syrup. To make that we need to have some experience. Jaggery sryup string making is an art, some times it may get spoil. But this kind of ladoo have no chance of spoiling. This one I have learned from one of relative who is aTamilian, She makes it during Gokulashtami Festival. Dry roast peanuts. Roast them till they turn light brown shade or the aroma of them comes out. Do not over roast. Allow them to cool down. Grate jaggery. keep it aside. Once the peanuts cooled, peel the skin by rubbing them between hands. Grind them in a blender jar. Once they become coarse powder, add grated jaggery and grind it together. Grind it till jaggery and peanuts powder blended together well. Take this into a plate and make ladoo of it. 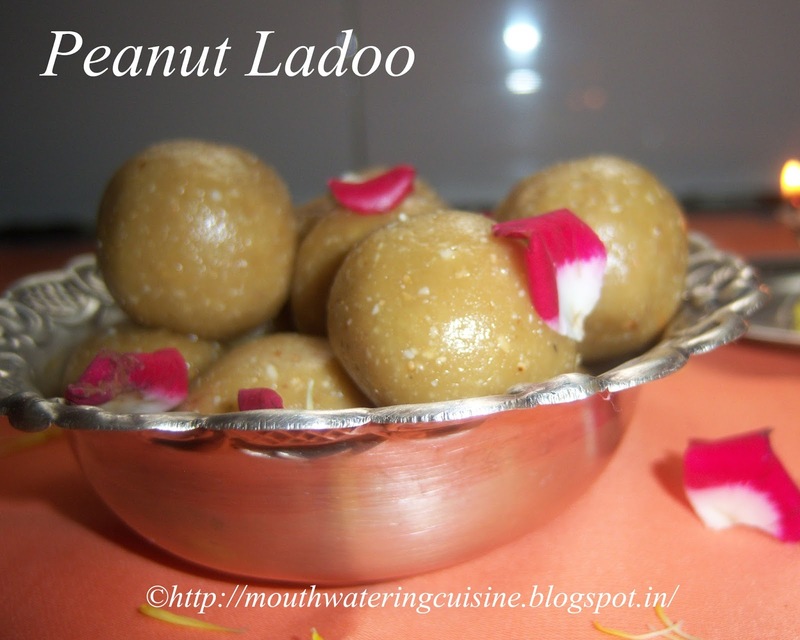 I came across your blog while looking for some ladoo recipes and liked a lot. How amazing! I will keep an eye on your post.